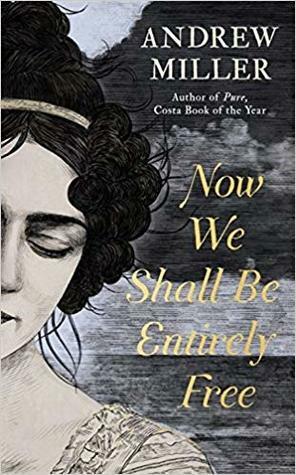 The opening chapters of Now Well Shall Be Entirely Free drew me in immediately as I read about Captain John Lacroix’s return to England from Spain in 1809, close to death after the battle of Corunna, during the Peninsular War. Miller’s descriptive writing, lyrical and poetic, vividly sets the scene as Lacroix is nursed back to health by Nell, his servant. But it is clear that he is on the edge of a breakdown, mentally and emotionally, saying little about the battle and indeed, unable to face the memories of the horrors he experienced. When another officer arrives ordering him to report back to duty, he decides instead to leave for the Highlands to recuperate. This is followed by an account of the investigation of the atrocities carried out in the village of Los Morales during the army’s retreat to Corunna. The village was burned down, men were lynched and women raped. Two men, a vicious Englishman, Corporal Calley is ordered to track down and kill the officer responsible and a Spaniard, Lieutenant Medina, a liaison officer with the British army, is assigned to accompany him and report back that the execution has been carried out. It is soon obvious that the officer is Captain John Lacroix and so the hunt is on, as Calley and Medina follow his trail from Somerset to Bristol and Glasgow and then on to the Hebrides, leaving a trail of violence and death behind them. The pace is brisk, until Lacroix reaches the isles, where he meets the Frend family, a brother and sisters, living as part of an isolated community. Jane is pregnant and Emily is slowly losing her sight. At this point in the novel the pace dropped partly because of the vagueness in describing the location of the island (somewhere in the Outer Hebrides beyond Mingulay) and Lacroix’s own mental and physical slowing down on the island – after being attacked and robbed in Glasgow, he began taking opium to relieve his pain. My attention began to wander until he and Emily returned to Glasgow for an operation to improve her eyesight. The pace picked up and I was fascinated by the medical details, with intriguing insights into new discoveries in medical treatment. But then the ending came all too quickly and left me feeling uncertain about what actually happened – the ambiguity surrounding their ‘freedom’. Freedom is a theme throughout the novel – its definition and how it differs for men and women. The relentless brutality of war, of course is another theme, demonstrated through the inhumanity of Calley’s actions and its effects on Lacroix as he finally reveals what had happened in Spain. I enjoyed the historical details, the medical techniques as well as the effects of industrialisation, and in particular the conditions in the cotton mills, where Calley laboured as a child. He had worked as a ‘piecer’ mending the cotton threads and cleaning the machines, in danger of losing a limb, deafened by the noise in the hot machine room where the air was thick with little bits of cotton filling up your nose and lungs. But most of all I enjoyed the writing. Miller’s ability to write in such a lyrical style, to convey emotions and create such complex characters that are so believable that you can empathise, to a limited extent, even with a thug like Calley, make this book remarkable. Thanks go to Hodder and Stoughton and NetGalley for my copy of this book for review. I agree, Pure was a stronger, more compelling story, although its ending was just as up in the air as this one. I enjoyed both of these books so much though, that I’ve acquired most of Miller’s backlist. I’m still not sure if the characters at the end got away safely or faced the ultimate getting away from it all ending, but either way, it was all about freedom and the consequences of violence. Thanks BookerTalk and Brona for your thoughts on the ending. My first thought on reaching the end was that their freedom was death. As Brona says it was all about freedom and the consequences of violence and I suppose you can interpret the ending however you wish. I haven’t read Pure, or any of Miller’s other books – but I’m going to try them sometime. I’ve had a few days now to let the book settle and decided that I actually liked the ambiguity of the ending …. It sounds as though this has a real sense of the time and place, Margaret, and I find that interesting. And I get the sense that the characters are well-developed, too – also a plus for me. I’m glad you found a lot to like about this one. Margot, I think the sense of time is much stronger than the sense of place, particularly in the Scottish section, apart from Glasgow, that is. Your review was so interesting to read but I have a feeling this would not really be for me. Thanks, Cath! Parts of this book absolutely fascinated me, which made it a pleasure to read.